The Gold Panda Returns for 2018 with a New One-Year-Only Design! First released in 1983 and building in popularity over 35 years, the China Mint's Gold Panda series is now among the most popular on the planet. But why is this gorgeous gathering of gold so legendary? Is it because each is struck in 99.9% pure gold? Maybe it's because, since 2016, these coins have been issued in metric weights, setting themselves apart from other gold coins minted around the world? Perhaps it's due to the fact that demand for these coins within China's borders has been heating up, making them harder to find outside of the country? Sure, those are all perfect reasons for this Panda phenomenon. Frankly, we'd like to think that it's because each year brings an absolutely adorable giant panda design, struck for one year only! 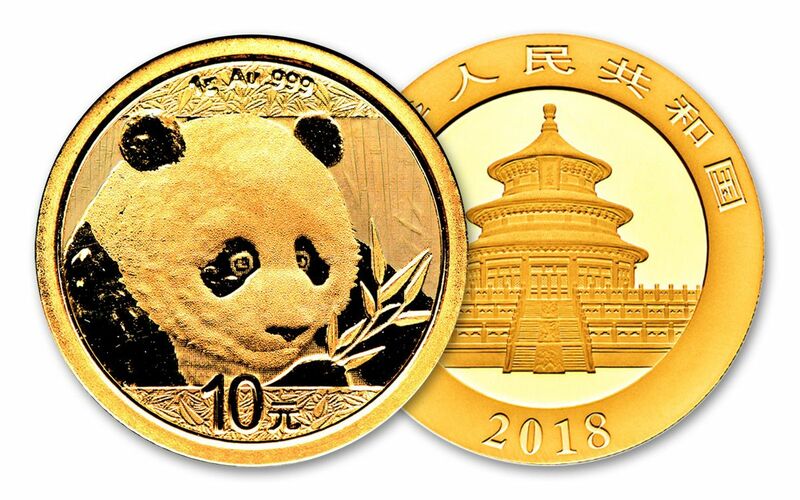 No matter what your reasons are, now is the time to bring a 2018 China Gold Panda home to your collection! A CAPTIVATING CLOSE-UP! -- This year's Gold Panda design features the face of one of China's beloved mammals, transfixed by a soon-to-be-devoured bunch of bamboo leaves. Set against a forest background and framed by leaf-textured fields, this is one of the China Mint's most attractive designs to date! ONE GRAM OF HIGHLY PURE GOLD! -- That's right! Instead of being issued according to troy ounces, Gold Pandas have been minted in metric weights since 2016. Produced by the artisans of the China Mint, each of these Gold Pandas is struck in one gram of 99.9% pure gold. 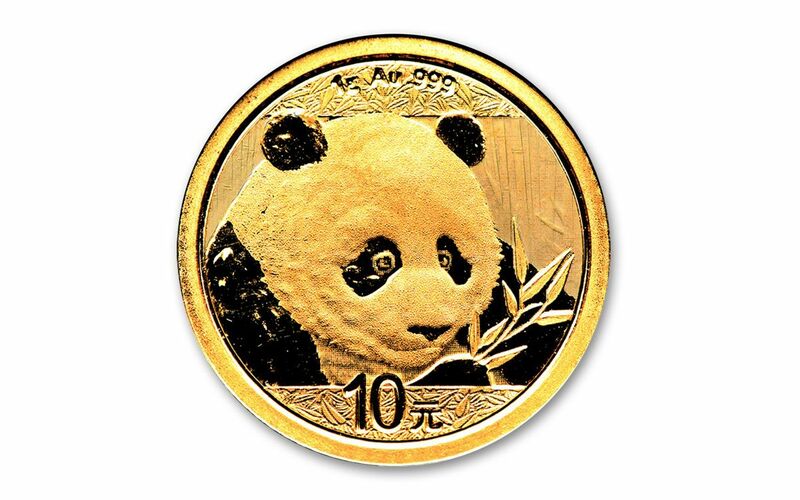 CHINA LEGAL TENDER -- Each 2018 One Gram Gold Panda is 10 Yuan China legal tender, as seen right underneath the Panda's profile on the coin's reverse. Flip the coin over and you'll see the date, the inscription of "People's Republic of China" in Chinese and an image of the Hall of Prayer for Abundant Harvests, located in Beijing's Temple of Heaven. 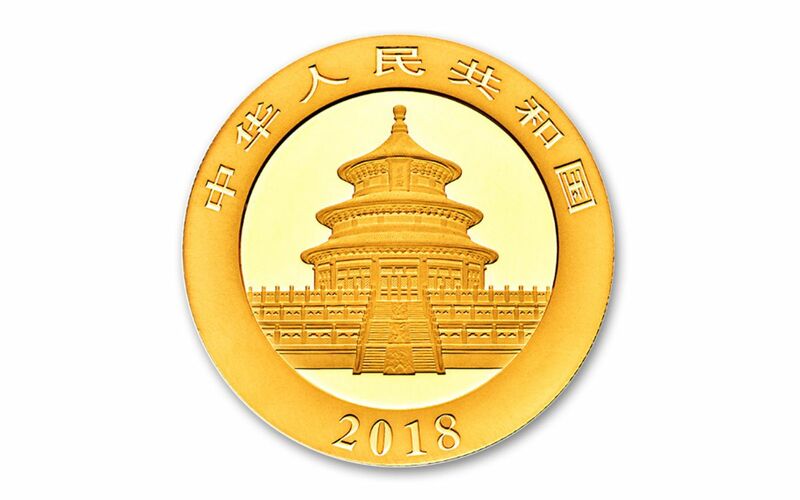 BEAUTIFUL BRILLIANT UNCIRCULATED CONDITION -- Your 2018 Gold Panda will arrive to you in Brilliant Uncirculated (BU) condition, exactly as it left the China Mint. A SERIES IN CONSISTENTLY HIGH DEMAND! -- Like its predecessors, we're expecting these 2018 Gold Pandas to be tremendously popular both inside and outside of China. Considering the number of stateside Panda series fans, supplies in North America have the potential to be extremely tight as well!